I’ve got some cleaning to do! Wrapping paper, boxes, and my belly! If you’re like me, you had a great holiday with your family and loved ones. And maybe that included eating some foods that you don’t normally eat…or more of them than you normally do. Either way, you may have that bloated, full of regret feeling today. I know my husband is regretting the 3 1/2 cinnamon rolls, box of chocolates and the countless cookies and other goodies he enjoyed yesterday, and is moaning about today! He wasn’t alone, I did my share of tasting this week too! 🙂 I can avoid sweets and treats pretty well, cause I don’t really like them much. But the french bread, pasta and various dips and snacks sure tasted good! So today is a new day, and I am definitely feeling it! 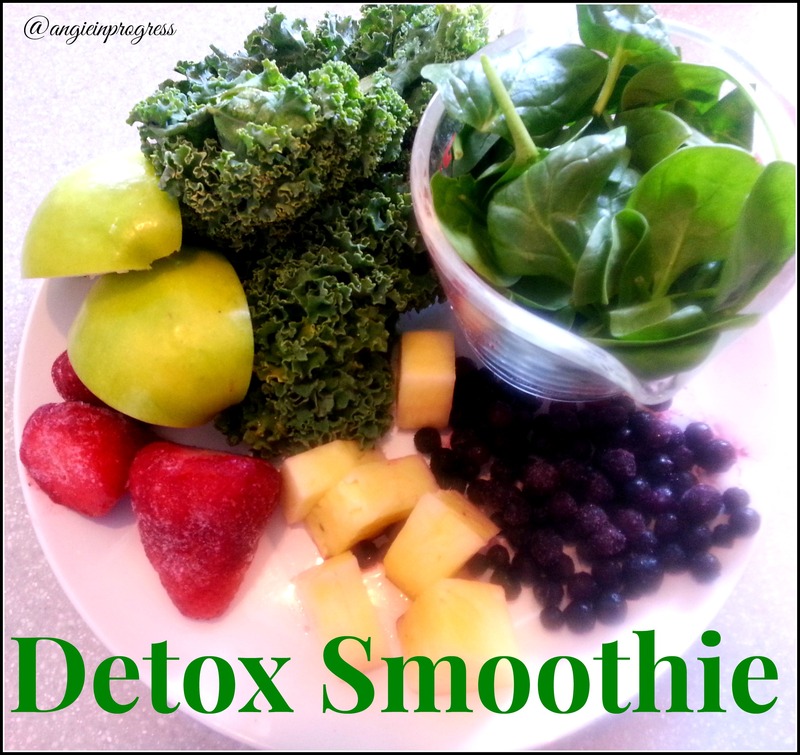 So, I started the day with a good old-fashioned detox smoothie! You might find this surprising, but it was actually quite tasty! Plus, it just tastes clean and healthy! It was JUST what I needed this morning. I’m sure I’ll be enjoying this several more times this week, and whenever I’ve had a little TOO much fun. Of course nutrition is KEY! But add daily workouts, support and accountability and you have the perfect recipe for SUCCESS! Check out my upcoming groups if you have some health & fitness goals, and you’d like some help and support to reach them. Previous PostPrevious P90X3 is HERE! Next PostNext ‘Tis the Season to Pay the Bills!